Inspired by the idea of bringing pre-existing elements together to make something entirely new, Remix pairs upholstered comfort with innovative Flex Net Matrix™ technology for active, all day support. Remix delivers unexpected performance in a familiar form. By combining traditional and innovative elements, Remix infuses movement into a traditionally static upholstered chair. 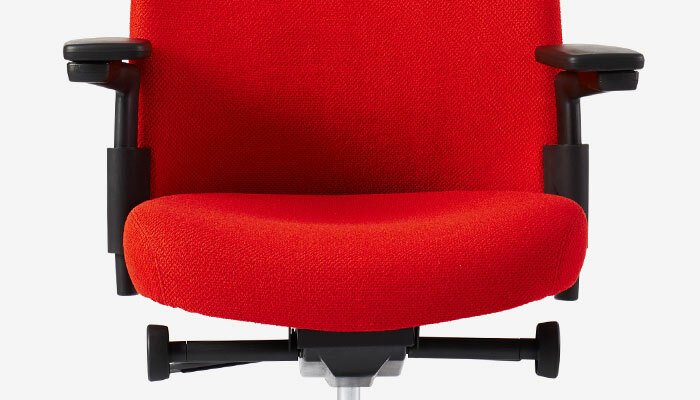 The performance you need – the upholstered comfort you love. We'll contact you as soon as possible to discuss options, finishes and pricing. The Flex Net Matrix delivers resiliency and flexibility, and has been specially engineered to pair with a layer of cushioning on top. Plush Cushioning offers immediate comfort without compromising the long term benefits of the flexible materials behind it. 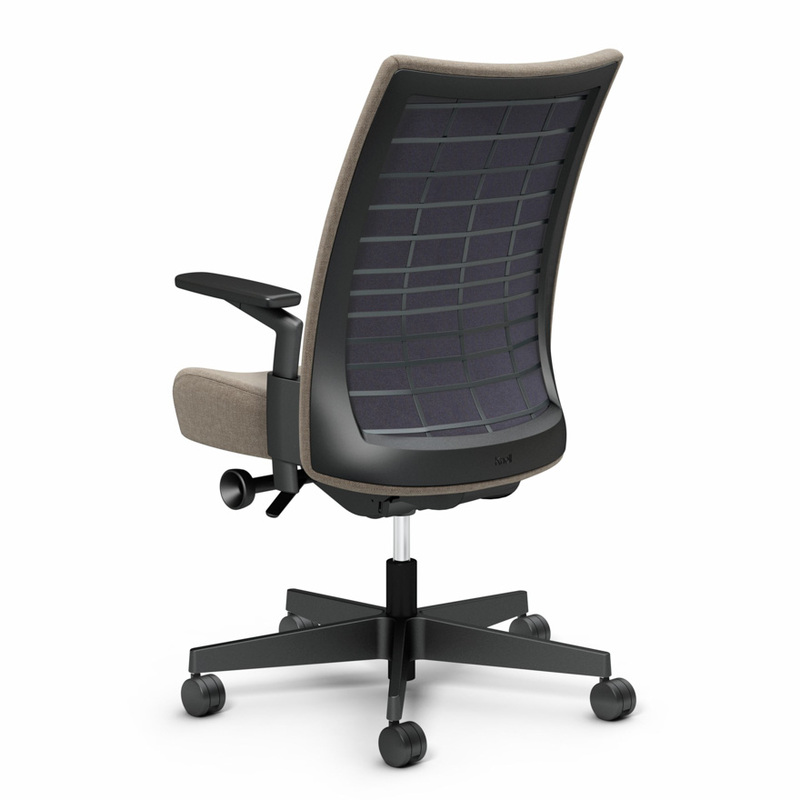 A Flexible Back Frame provides structure and support while allowing for torsional side-to-side movement. Remix has a Wraparound Back and a fully upholstered perimeter that offers soft, uninterrupted comfort when moving among postures. Sitting in Remix allows you to experience a Deep Dwell for a sense of refuge. The tilt tension control enables a smooth, personalized recline while the three point tilt lock allows you to relax into the chair. The Contoured Seat has varying levels of thickness to provide targeted cushioning and waterfall edges for shirting postures. 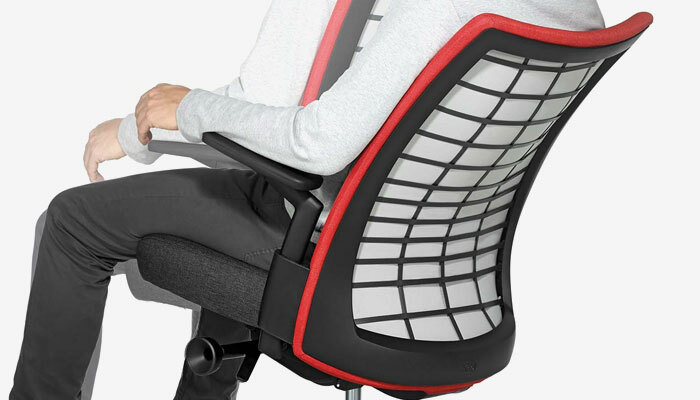 In addition, the arm supports are connected to the back rather than the seat to provide clearance for your legs as you change positions throughout the day. Remix celebrates an unconventional mix of materials with its expressive outer back that can boldly stand out or subtly blend in. Classic stitching and clean lines give Remix a modern, refined aesthetic complementary to any environment.